And what a truly great year it was! We at The Fort, take this time to reflect on the past, while looking ahead optimistically towards the future. There were several big changes at Fort Fido in 2012... With those changes, came room for growth, learning and improvement. With hard work, dedication and most importantly, support from our amazing customers, we have made Fort Fido better than ever! We are thrilled to continue our Dog Care Facility's betterment, for the canines we look after daily, and for our customers who trust us with a part of their life. In the coming year(s), we look forward to serving you and keeping Fort Fido at it's absolute best. We shall continue to run our business to the best of our abilities, in 2013 and beyond! As always, thank you very much for your continuous support and patronage. Here's to 2013, wishing you all the best! -Grant, David, Nancy, Hope, Gary, Matt, Kelsey, Lexi, Taylor, Jacob & Andrea. Lovely Lola Leads the Pack! 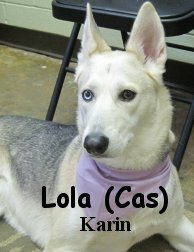 Today we had the pleasure of meeting Husky-mix little miss Lola. A gorgeous short-haired beauty with spectacular eyes (one brown and one blue! ), Lola was right at home in our big roll. She loves playing chase games, and whipping around until all the other pups are following her! She also spent time neckfighting, and showed a lot of versatility playing with the other dogs. I'm sure that she will continue to do well with the other big guys as she attends daycare with us. Some of her very best buds today were Stella, Boomer, and Rain who all loved Lola's infectious and fun-loving personality. This girl's a real keeper, and we're glad to have her on board! Our assessment this morning was Angus, a 10 month old German Shepherd. He did great in the big roll and played well with the other dogs. He especially liked playing with Jack and Theodore. In this clip he is playing with Jack the yellow lab. He is welcome anytime, and we hope to see him again soon. 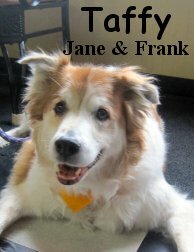 Meet Ginger & Macey, two swell dogs, from the same family, that assessed this morning. 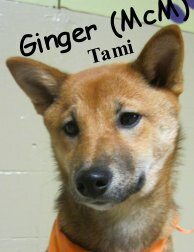 Ginger, is a four month old, eleven pound, red & black colored, Shiba Inu. She did rather well upstairs in the Little Roll. 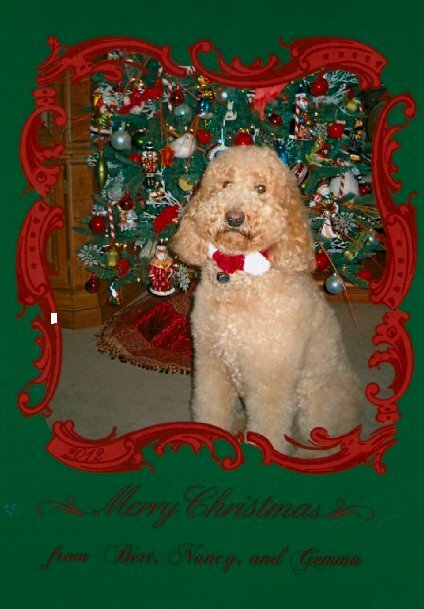 Ginger is a very sweet spirited canine. She played with Dixie, Pearl and just about any dog that was game. 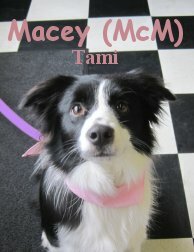 Macey, is a one year old, about twenty pound, black & white colored, Border Collie. Now at first, Macey was not sure why she was here lol... But, once she began to figure things out in the Medium Roll, she started having lots of fun. This dog wasted no time getting in on the action, once she was situated. Macey enjoyed herself, playing with Marley and Sammy, among others. Both Ginger and Macey were a pleasure to take care of today. We highly anticipate their return! Here are those belated, yet wonderful, Christmas photos I promised. Thank you for sending them in everybody! Please enjoy! P.S. I hope you all had a wonderful Holiday! Thank you for you support this season. Unfortunately we will be semi-blogless for a bit. We plan on being back in action this Monday, with a blog post full of our awesome Fort Fido Dog Holiday Photos! 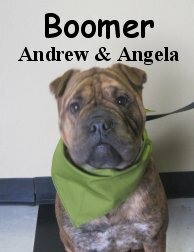 We met a cool pair of siblings today-- English Bulldog/Shar Pei mix Boomer, and his older sister Shyner the Great Pyrenees. Both big guys, these pups were right at home with in the Big Roll. 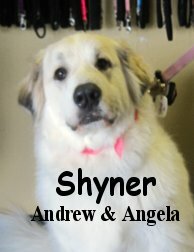 Shyner wasn't all about the wild play, but she wasn't stand-offish either. She was definitely a part of the pack, even though she wasn't the most rambunctious of the lot. It's definitely not her first day at the rodeo. Boomer played hard the whole time he was here, and enjoyed the company of Zoey and Theodore especially. 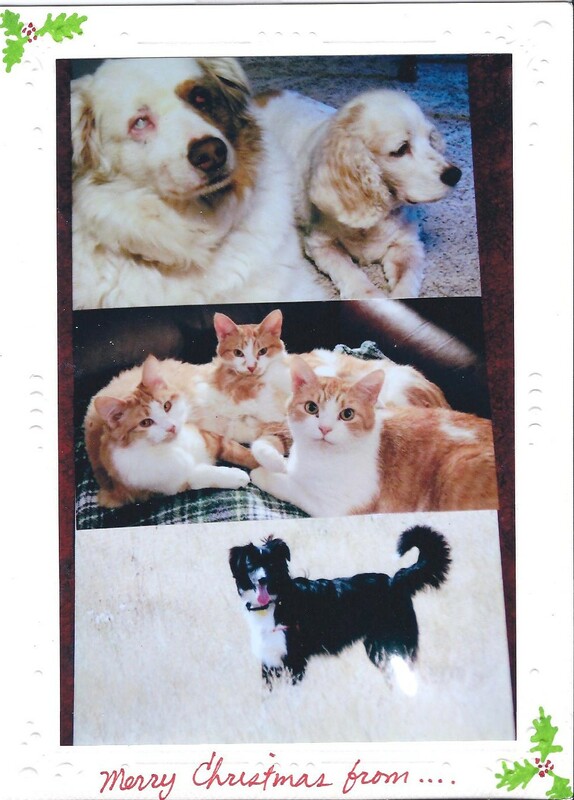 We caught those three on camera having a good romp! We had a great time meeting a couple of new buddies this morning-- 12-week-old Lab pup Emmitt, and a nearly fourteen year old Border Collie Taffy. Though they came from opposite ends of the age spectrum, both of these pups had good laid-back introductions to daycare. 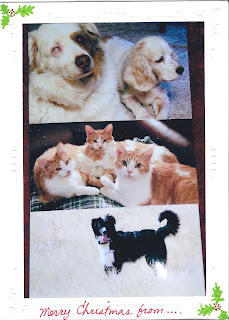 Taffy did especially well considering his age--he played some with the other guys, and fit right in. Little Emmitt did well in the medium roll, his easygoing nature was a welcome addition to that roll. He didn't play too much on his first day, but he did well nonetheless. Dogs of all ages can benefit from time at daycare--it helps to increase sociability, and to help your dog be more balanced in all aspects of his or her life. Even the old folks who don't play quite so much as the little pups still benefit from interaction with other dogs, and the energy of the pack. These pups will be welcome additions to our "regulars" here at the Fort. The Shetland Sheepdog or "Sheltie", not to be confused as a Miniature Collie (There is no such thing btw lol.)... Love them or leave them... We all know that I am biased, and in favor of this amazing breed. So when Mickey rolled into The Fort today, I'll admit, I was elated! 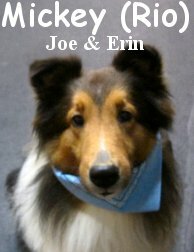 Mickey, is a handsome, six year old, thirty-five pound, Tri-Colored, Shetland Sheepdog. Mickey tried our Medium Roll on for size and thrived. This high-energy herding dog, had a surprisingly calm and balanced disposition, Gibson, you should really start taking cues from Mickey haha! Anyway, Mickey, unfortunately didn't engage in any lively play, however he did interact with the pack flawlessly. His canine communication skills are outstanding! He had no signs of stress in his stay and just sort of took it all in. With regular attendance, we believe Mickey will begin to really enjoy Dog Daycare. He is currently in a transitional period of life, with different things to digest and adjust to. Luckily, canines are quite adaptable, and Mickey seems to be no exception. He is an absolutely gorgeous specimen, that we look forward to having here at Fort Fido. A blast of winter-weather, always seems to whip are Northern Breeds into a blizzardy good mood LOL. Seriously! Kumpi Kat Food is just as awesome as Kumpi Dog Food. We have carried it for a couple of years now and we have several happy Cat Customers. I have had my three year old cat, Hobbs, on it for quite some time and he looks fabulous! My 20 year old cat just recently passed away, R.I.P. Missy, but was on Kumpi Kat for at least two years... And I'm convinced Kumpi Kat Food is what kept her going strong right up to the end. The cat food has been available in four pound and twenty pound sizes. The funny thing, is that the four pound size never seemed like enough food, while the twenty pound size always felt like wayyy too much. Evy, owner of Kumpi, has discontinued the 20# bag in favor of a very convenient, resealable, sixteen pound size. So, if you have a cat or cats, definitely give Kumpi Kat a go. I'm certain your Feline Friends will thank you, and you'll thank Kumpi! 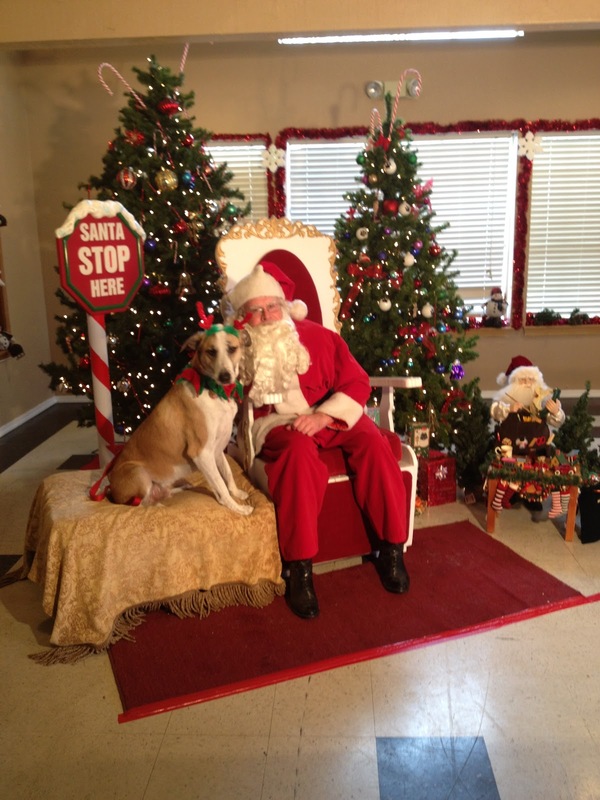 Fort Fido fixture and wild man Zipper had his first birthday today, and came to celebrate with a fun day at daycare! 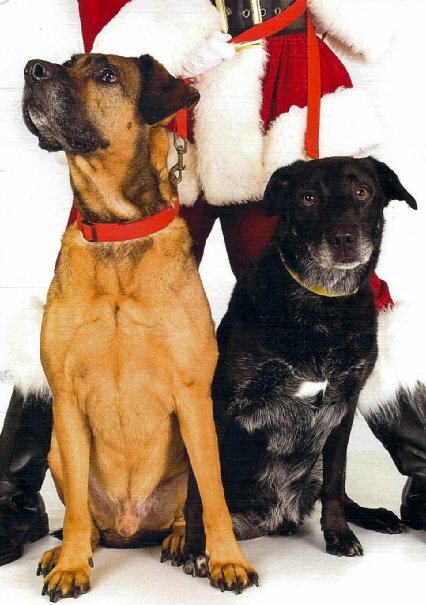 He tore it up mainly with his buddy Great Dane Theodore, but also took time with his other buddies, Jasper and Buddy. We got some great clips of the pups in action today, including some of Zipper's birthday fun! Zipper and Theodore have really well-matched energy levels. When one wants to play rough, so does the other; when one is getting a little tired and wants to just lay down and neckfight, they are both ready for it. These guys seem like they'll be best buds forever! We also got some clips of others romping around today, including Jasper and Aryan having a good neckfighting session. I think that somebody might have a crush on the "new girl"! Pearl and Sophie hit it off the very first time that they were at daycare together, and continue to enjoy each other's company. 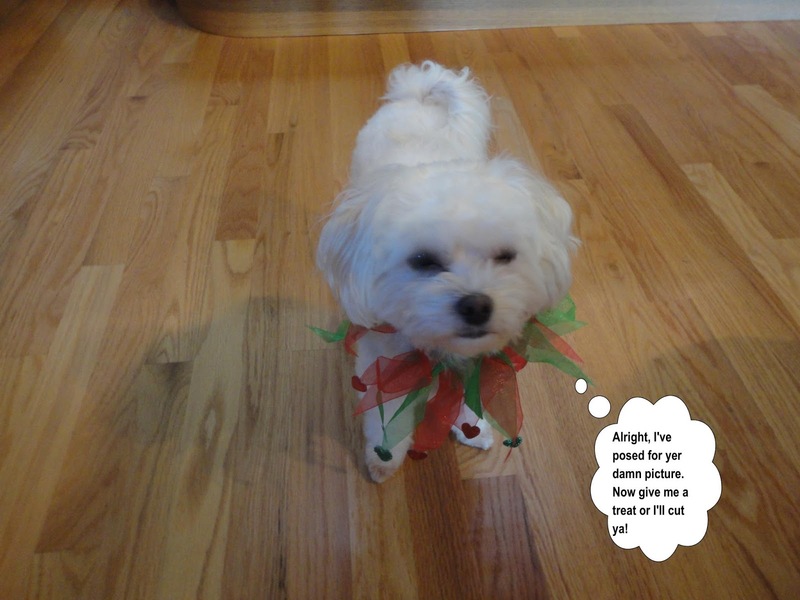 I also love the Mrs. Claus dress that Sophie was rocking today--too cute! I hope that you guys had as swell of a day as the pups here had! Dogs never cease to amaze with their senses, talents, and the great things that we can teach them to accomplish. 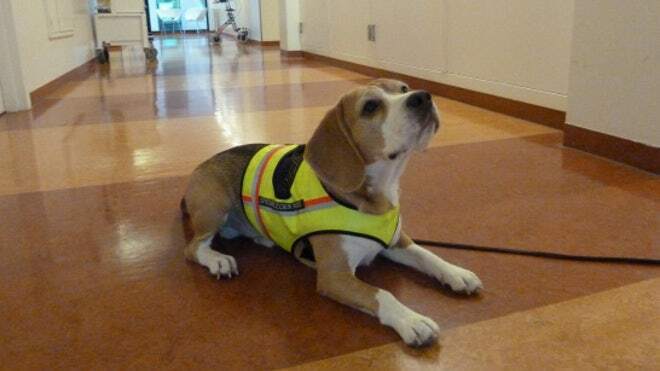 A Beagle in Amsterdam has been trained to sniff out the superbug Clostridium difficile (or c. diff). This particularly virulent disease can flourish and spread in hospitals or nursing homes, the very places we are supposed to go to get well! With the assistance of Cliff the Beagle, c. diff can be recognized sooner (it mimics flu-like symptoms), and affected patients can be isolated. Another talented pup is pictured here. Migaloo is the world's first "archaeology dog." She has been trained to sniff out human bones. Unlike a cadaver dog or rescue dog, she has been trained to sniff out dry bones from archaeological sites--her biggest test thus far has been finding a 600 year old Aboriginal grave site. Even though they are dry, buried bones, Migaloo can still sniff them out. She is now going to be trained on fossils and perhaps pottery, to see just how far she can push the limits of her senses. In New Guinea, a rare wild dog, feared extinct in their natural habitat, appears to have been spotted. The elusive Singing Dog (named for its coyote-like howls) is a relative of the Dingo, and resembles domestic Shiba Inu dogs. A scant 200 of these dogs live in captivity, but this population is dwindling due to lack of new genes. It's thrilling to know that there are still wild things out there, waiting to be (re)discovered! I found out about a cool study that you and your dog can participate in-- the Horowitz Dog Cognition Lab is doing a study on the myriad of ways that people and pups have playtime. All that you have to do to participate is upload a short (60sec) clip to the study website, and complete a short survey. This is open to participants all over the world, and can help to increase our understanding of the complex relationship between a dog and its owner. The opera Aida was first performed at the Khedivial Opera House in Cairo on 24 December 1871, conducted by Giovanni Bottesini. This little Aida gave a great performance at daycare today! This morning we met adorable Westie Aida. This happy and fun nine-month-old pup had a great time with our little dogs. She enjoyed ball time, but what she loved the most was Tucker--a fun-loving Poodle/Yorkie/Shih tzu mix. We caught a great moment between the two of them on camera--just look at those happy tails go! 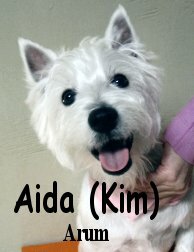 We're excited to have another fun Westie joining us here at the Fort-- I can tell that Aida is going to have a great time, whether here for daycare or boarding. We're all looking forward to more time with this sweetheart! This morning we assessed Ruby. 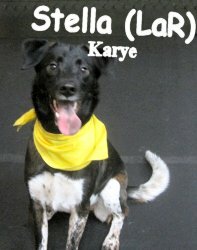 She is a really neat, ten year old, eighty pound, Labrador Retriever Mixed Breed. 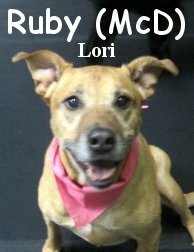 Ruby is a good looking, high-energy, healthy dog, you would not expect her to be ten years old! She did well with the other dogs but didn't do a whole lot of play. She was more of an observer, which is sometimes good for a first day. However, one nice thing about Ruby, is that she speaks the "language of dog" quite fluently. Her "meets & greets" were spot on. This one has most definitely been around canines before. It is our pleasure to welcome Ruby to Fort Fido. May she return soon! Many of us bake Holiday Cookies around this time of year. It can be fun to decorate them with family and friends, eating them is always good too! Unfortunately, many of our favorite Holiday Treats aren't too healthy, or are even quite bad for dogs. 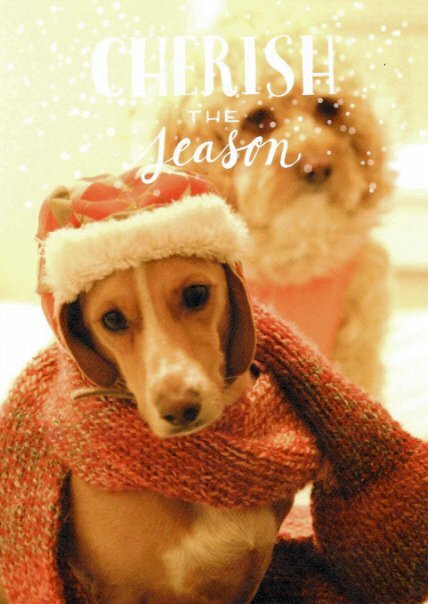 So where does this leave Fido, amongst the cookie-eating festivities of this season? 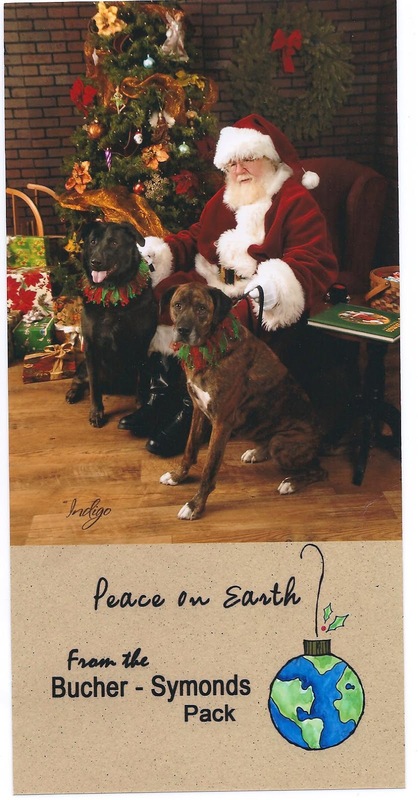 Well, you are just going to have to bake him or her their own batch of Doggy Holiday Treats. Don't worry, I've found you plenty of first rate recipes you can try at home lol! Cookies For Canines Of all the links I found, I liked this one the best. How to make Christmas Cookies for dogs Not bad, but it wouldn't be my first choice. Best Dog Treat Recipes Neat site, worth a visit! Well, if you get that "wild hair", let me know how they turned out. Heck, I might even try one, a few of those recipes sounded more than good enough for me to eat haha. Here are two fun clips from The Fort last night. They are mainly of Kelsey's Dobie pup, Finley, and Toby having a blast during the wee-hours. You may also spot Lillie, Maggie, Sheldon and others. So fa, Overnight Boarding here has been working out well. Outstanding really! It's sometimes wild to think that we are open 24/7 365, yet our crew here is handling business quite well. Besides, we are finding out there is quite a need for this... We are here for you and your pets to meet that need. Here is a funny video clip for y'all today. These type of dog videos (Dog head with human arms lol!) always having me cracking up. I'm positive you will get a chuckle out of this Holiday Themed version. If you are looking for something fun and inexpensive to do with your family around this time... I highly recommend parking for free, at the Tacoma Dome Parking Garage, in front of Freighthouse Square, and riding the Tacoma Light Link Rail, which is also free, to Union Station. From there, it is just a short walk to The Tacoma Art Museum & Fransican's Polar Plaza. The Polar Plaza is a yearly, temporary, Ice Skating Rink setup in downtown. I went this last weekend and it was a blast! The Light Link Rail stops by every 12 minutes, at both ends, so planning this little trip was easy... You don't really have to plan anything lol, that's always nice! Anywho, just an idea I thought I would share. Super Stella and Too-Cute Toby! 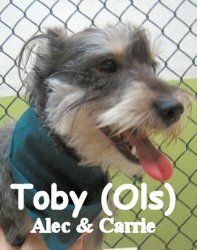 We met two fun dogs this morning-- Stella, an incredibly sweet and sassy mixed breed, and Toby, a cool and confident little Mini Schnauzer. 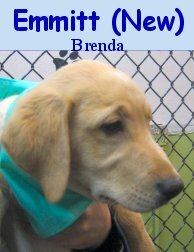 Though she entered with a little trepidation, as soon as she met Rain (a super-spunky Golden Retriever), Stella came right out of her shell. These two girls were instant best-buds (it's so great how dogs can make friends in a moment! ), and had fun tearing it up the whole time that Stella was here. She did really well today, and we hope to see her back soon. Toby is an incredibly cute little guy, I don't think that photo does him quite enough justice (I just love the long hair on his ears, he looks like a teddy bear!). Although Toby was nervous to see his owners go, he was cheered right back up by our buddy Miller, who enticed him to go for a romp, and almost got more than he bargained for! It was great to see that both of our new pups made fast friends here, and had dogs of similar energy levels to keep them having a great time throughout their assessments. This really set a great tone for both dogs, who I'm sure went home tired tonight! In other news, Taylor took a great picture of Louis and Lillie last night, all curled up on their beds. These two have been "boarding buddies" for a few days now, and make a cute little pair. I also caught a clip of Louis romping with Rain this morning, and wanted to post that for his out-of-town parents. I know it's nice to see that he's having a good time with us! Check out some photos from this new book, Underwater Dogs featuring Seth Casteel's photography. 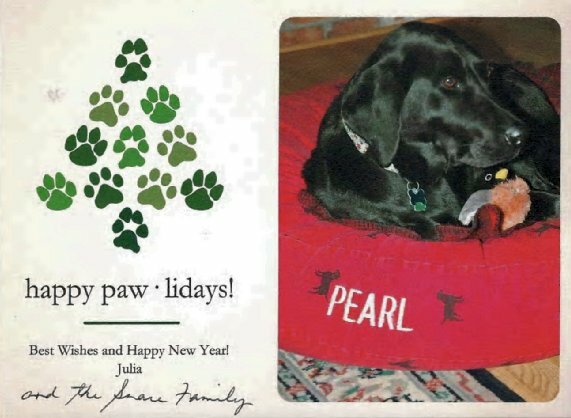 Another great gift idea for dog lovers! The photos are all absolutely hilarious, the idea behind them both simple and clever. 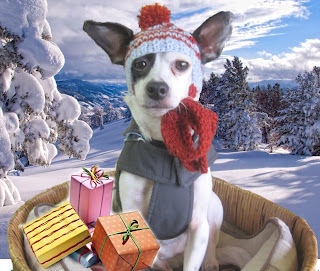 Xmas Pic Time & News! Short clips and a Happy happy Birthday!